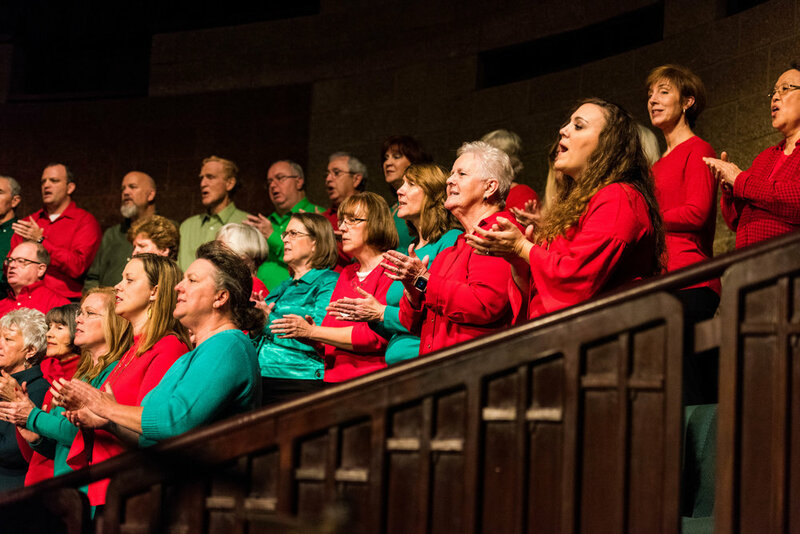 We have a variety of musical groups that you can be a part of at Spring Valley Baptist Church. If God has gifted you in music, drama, dance, technology or art, you can find a place here! Some of our groups are shown here. If you are interested in participating in any of our music ministry groups, please contact Rick McCollum at 803-726-7371. Our choirs lead in worship on Sunday mornings in our Blended and Contemporary Praise hours. We currently have the largest senior adult choir in the state of South Carolina. They meet from September-May and perform in nursing homes, retirement centers, for civic organizations, as well as other venues. Our Praise Combo is a praise band, along with singers, and they lead our Sunday morning Contemporary Praise twice monthly. We also have two larger groups of singers, along with a band, that lead the other two Sundays in Contemporary Praise. 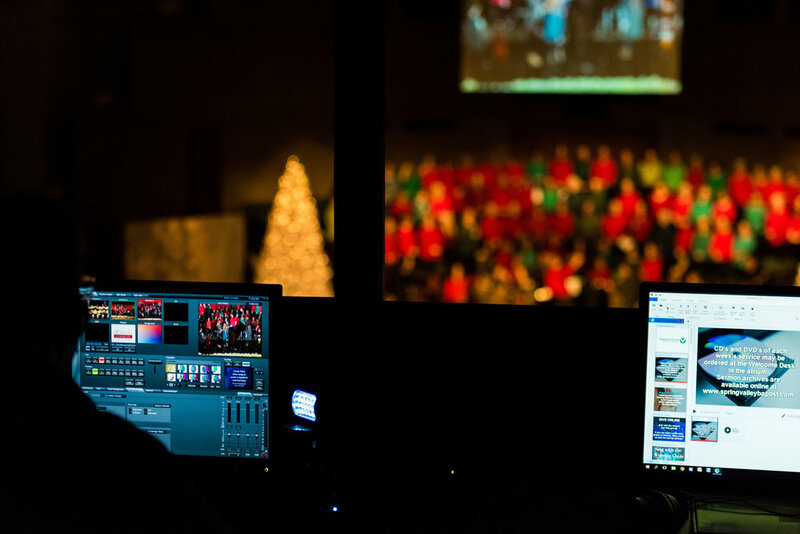 This team supports our worship & outreach with sound, lights, images, video recording, and other technical aspects of our worship. We provide musical experiences for three nursing homes on a monthly basis. 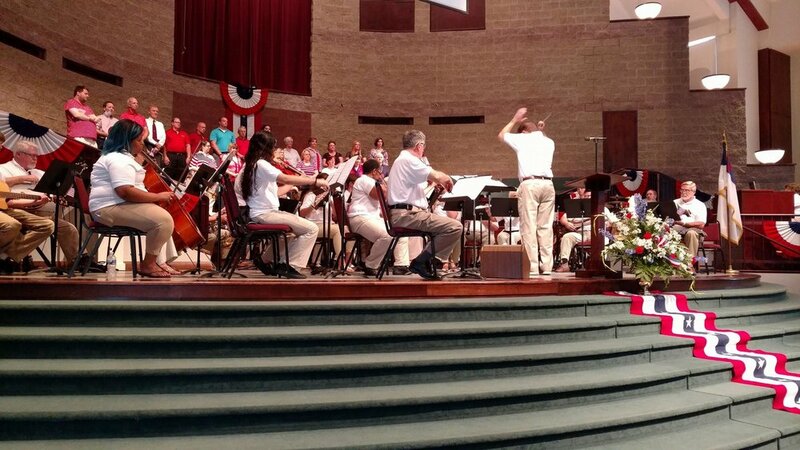 We have several other groups that perform during the year including our 50+ member Patriotic Orchestra, the Middle School Girls Ensemble, and our theatrical group, The Passion Players.